An excellent long-day, early childhood school for families of the local community and for Macquarie University staff and students. Dynamic education and care that is grounded in best practice and guided by a professional ethos that works to develop the full potential of your child through stimulating, play-based learning. A rich and wide-ranging educational curriculum that is part of the everyday learning experience of all children in Mia Mia's care from infants to pre-schoolers. It includes literacy, numeracy, communication, the visual and performing arts, the sciences understanding society, and principles of social justice and equity. A welcoming, diverse and inclusive community. Training, mentoring and observational opportunities for students, educators, academics and other local, national and international visitors in a lighthouse early childhood education and study centre. Mia Mia's program recognises children's need for a discovery and inquiry approach to learning and so provides them with many opportunities to make choices, explore, observe, problem-solve and imagine. The development of each child is guided through engagements and relationships with peers, adults and the environment. More details about our program can be found here. The belief that the rights of children should be upheld and the voices of children acknowledged. 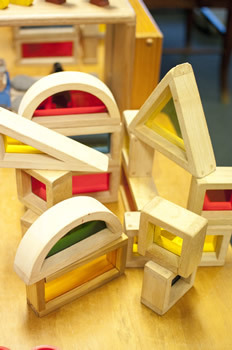 Contemporary best practice and research including the philosophy and research of the Institute of Early Childhood. The understanding that families will play an active role partnering with staff to foster their child's wellbeing, social development and joy in learning. National standards and educational frameworks.